Maritime piracy off the coast of Somalia was first recognised as a global concern in 2008 after the hijackings of World Food Programme vessels. It remains a serious impediment to international maritime trade and a significant risk to seafarers. 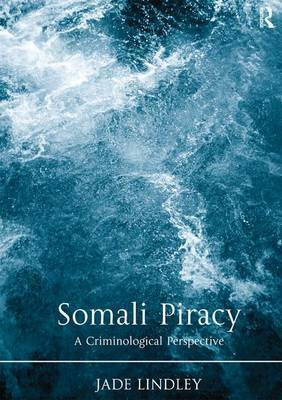 Bringing a criminological perspective to the subject, this book presents an analysis of Somali piracy by means of Routine Activity Theory and regulatory pluralism. Based on data from a range of sources, including published documents and in-depth interviews with representatives of industry, government, and international organisations, the study concludes that no one institution or policy will suffice to control Somali piracy. Accordingly, a number of different actors and institutions have a role to play in reducing the supply of motivated offenders, the vulnerability of prospective victims, and in enhancing guardianship. The book envisages a holistic counter-piracy program based on a pluralistic regulatory model that is sustainable within the region, and managed by the region, providing the best opportunity for both the immediate future, and for long-term success. This study will be essential reading for criminologists, public policy and legal scholars, as well as policy makers and regulators in countries affected by and dealing with piracy, and international professional advocacy groups operating in the maritime space.